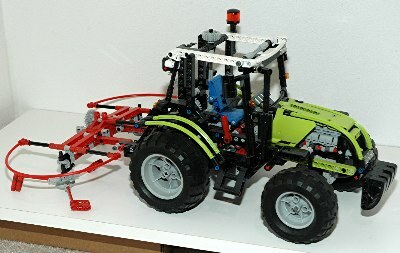 Tractors are a natural choice for Technic. 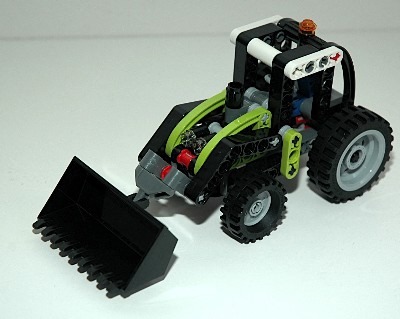 It is easy to make a wide variety of implements for whatever purpose suits you. 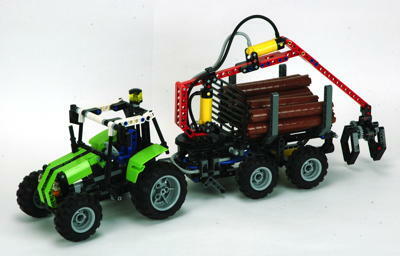 The implements shown here are the primary for each model, but most tractors came with ideas for many others. 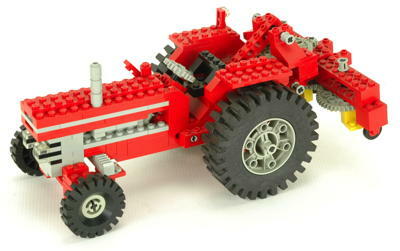 Most tractors feature front wheel steering, many with a pendular axle. 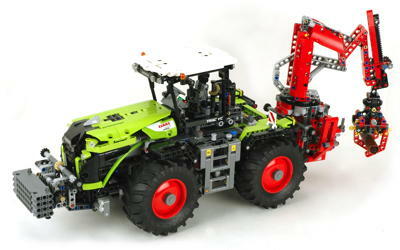 All feature farm implements, most of which move, and most of which can be replaced with many options. All of the implements can be raised and lowered. A couple even have working engines. 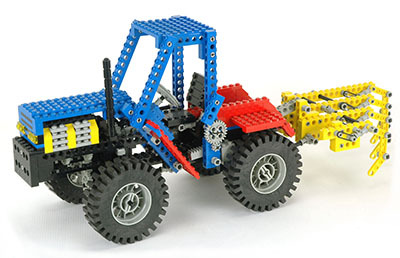 8284 is technically an alternate model in the USA, but is a fantastic tractor and far superior to the primary model for this set. 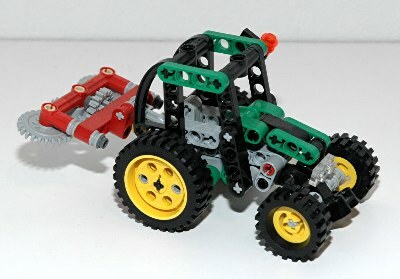 This model was later repeated (with slight variations) as 8063. 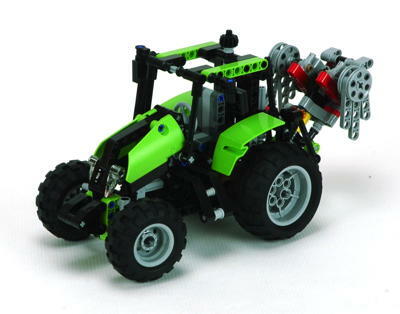 8049 and 9393 are practically the same tractor in design and color but with different tools. 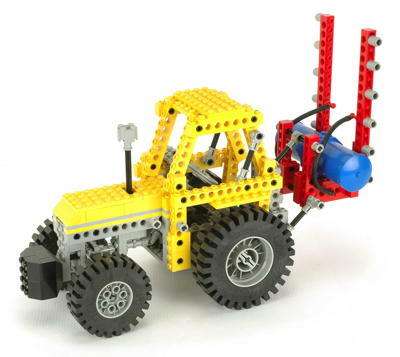 42054 is by far the largest and most fully functional with 3 steering modes (front wheel steering, four wheel steering, and crab) and a motorized claw loader. My favorite? Probably the original (851). It is elegant but functional.